The problem with many instruments are the use of floppy drives. My Roland AT80SL from 2006 is no exeption. So what to do? Well you can buy a USB "drive" with floppy interface and hope for the best. Here is my USB drive. The goal is to replace the internal floppy drive in the organ. 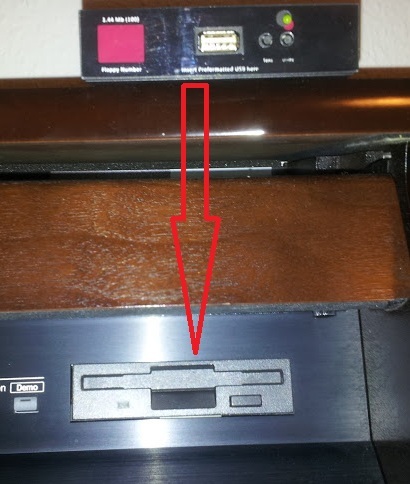 The USB drive should be able to act like 100 floppy disks on one USB key. This will make saving registrations a lot easier. 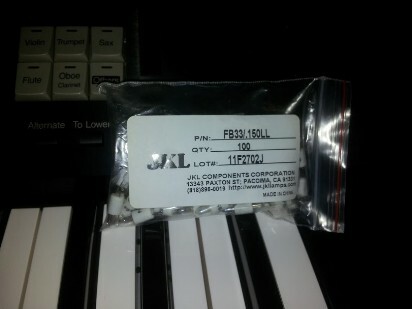 While I am fiddeling with the organ I will replace a couple of the lamps over the keyboard.